Notes: Snape castle was originally built c1430, when Ralph de Neville, 1st Earl of Westmorland gave Snape to his younger son, George Neville, 1st Baron Latimer. 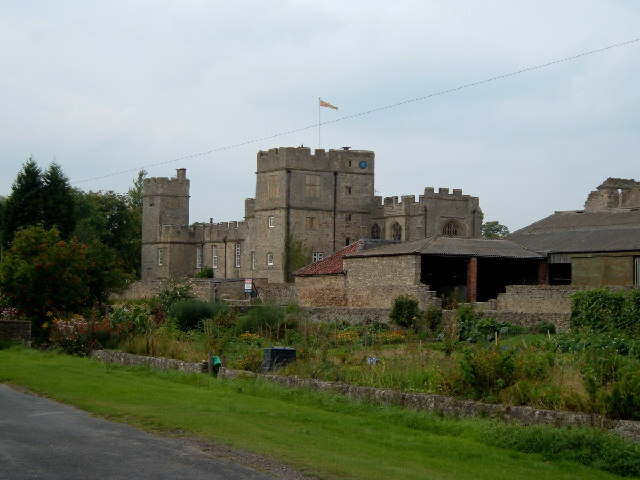 The second Lord Latimer was still only a minor when he inherited and the castle was held for a short while by Richard III. The third Lord Latimer was the second husband of Catherine Parr, later Queen of England. The daughter of the fourth Lord Latimer married Sir Thomas Cecil, 1st Earl of Exeter and the castle thus passed into the hands of the Cecil family. Sir Thomas largely rebuilt the castle in the 16th century, adding the four towers, and transforming the building into an Elizabethan dwelling house. As the Cecil's concentrated on their Burghley Park mansion Snape was left to deteriorate before being purchased by William Milbank in 1798. It was later divided into two domestic premises before being reunited as one home in 2003.